Huge congrats to Brownson Vilceant for receiving May’s employee of the month! 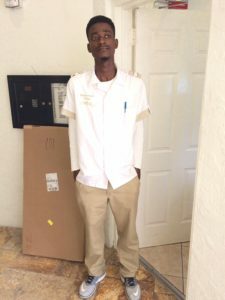 Brownson started working for Elite Parking in April 2016 and quickly rose up to assume the Valet Manager’s position at Mediterranean Village in Aventura. He is responsible for handling a variety of areas including: managing parking facilities to clients expectations, providing “white glove service” and building a great relationship with both residence and property management. He also oversees the hiring of staff and provides on-site training, as well as payroll, tracking tickets and completing daily reports. Brownson embodies the core values of Elite Parking and exemplifies the meaning of team leadership. Brownson is a native of Haiti, but relocated more than six years ago with his family here to Miami. He began working in the parking industry about four years ago and quickly realized his desire to pursue it as a career path. He was hired by Elite Parking a year ago and within six short months was promoted to the Supervisor’s position. Brownson looks forward to continuing his career in parking management. Elite Parking continues to develop its partnership with Highgate by assuming the management for the valet parking of the newly updated Washington Park Hotel Complex. Highgate is an industry-leading in the investment and management of hospitality assets. The company operates 100-plus hotels and approximately 30,000 rooms around the world, with a diverse portfolio representing everything from long-standing brands to independent hotels. Elite Parking aims to add to the success of the land-marked Art Deco hotel by providing “white-glove” service to every guest and operate the hotel’s daily valet parking operations with a one-on-one management style. The newly renovated, boutique hotel is located within walking distance to Collins Avenue, Washington Avenue and Ocean Drive, in the heart of South Beach. The hotel sits right in the midst of the action, in close proximity to hotels, bars, nightclubs and restaurants,. 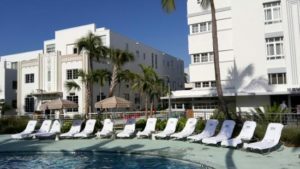 Even though the hotel is located within South Beach’s cultural hub, guests appreciate the laid-back and relaxed environment of the hotel itself. Elite Parking is a premier parking solution provider with a long history dating back to the late 1980’s. The company was founded by Alfred Lariviere, a visionary in the Miami Beach parking and valet business. In –—-, Ruben Perez-Sanchez became Managing Member of Elite, bringing more than 28 years of technology and entrepreneurial experience. Presently, Elite Parking is one of the fastest growing and most liked parking management companies in Florida. It offers a wide range of services in the residential, commercial, retail, hospitality, healthcare, special event, municipal, university, and airport sectors. The diversified portfolio of services includes: Parking Management, Valet Parking, Parking Planning and Technology Integration. Elite Parking and Elite Group Properties relocates to their spacious new headquarters in Miami’s prominent Design District. The centralized location was recently purchased and remodeled by Elite Group Properties and will house both their parking management and real estate divisions. “The area is the perfect location for Elite, and will allow us to continue to offer our clients with the same boutique-style service,” said Ruben Perez-Sanchez. Recently hailed as the arts and entertainment district, the Design District. Wynwood and Midtown add to Miami’s already diverse scene. The area continues to grow at a rapid pace and has put Miami on the map when it comes to high-fashion, arts, design and upscale dining. The three adjacent neighborhoods also offer a vibrant nightlife for young Miamians seeking a more more laid-back, eclectic scene. South Beach made it’s mark as Miami’s nightlife capital, but the Design District is quickly becoming one of the fashion destinations in the world. The once, out-dated warehouses have been converted into art galleries, retail spaces, cafes, clubs and restaurants. There is also a surge in new construction, primarily for high-end retail. Presently, the Design District alone is home to more than 130 art galleries, luxury fashion boutiques, showrooms, antiques dealers, architecture firms, eateries and bars. Elite Parking was a company founded in Miami, and therefor has experienced the exponential growth of the adjoining neighborhoods. It was a pioneer in the Design District servicing Michael’s Genuine Foods when it first opened, along with Grass and Pacific Time Restaurant. “It’s exciting to be part of a neighborhoods expansion both as a business owner and local resident. It gives us a great opportunity to service the area’s parking management needs,” explains Perez-Sanchez. Elite Parking and Elite Group Properties are owned and operated by Alfred Lariviere, is a visionary in the Miami Beach parking and valet industry, and Ruben Perez-Sanchez, a technology visionary and entrepreneur with 30 years of success as a local computer network provider, dial-up ISP, National Broadband Provider, National Business VoIP provider and regional triple play cable operator. Both companies will provide “white glove” service and cater to the local residents and businesses. Elite Parking is a premier parking solution provider with a long history in South Florida. The company offers a wide-range of parking services in the residential, commercial, retail, hospitality, healthcare, special event, municipal, university, and airport sectors. 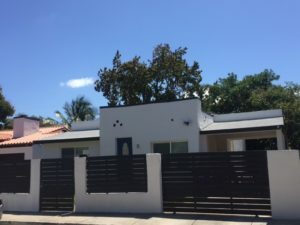 Elite Group Properties LLC, will cater to the company’s real estate endeavors and is quickly becoming an industry leader in the wholesale, rehab, and short sale investment of properties here in South Florida.